Rub the butter into the flour until mixture resembles coarse crumbs. Make a well in the center and add the sugar and egg yolks. Fold in with a knife and then work in with your hands until mixture is smooth and forms a ball. Cover with waxed paper and chill 2 hours. Make the filling by folding the egg yolk into the beaten egg whites, then folding in the almond meal. Stir in the sugar, salt and brandy. When pastry is chilled, preheat oven to 400 degrees Fahrenheit. Roll out half the pastry on a floured board to 1/8" thickness and cut into 4"x4" squares. Keep the extra pastry in the fridge and put any scraps to be re-rolled into the fridge, as well. 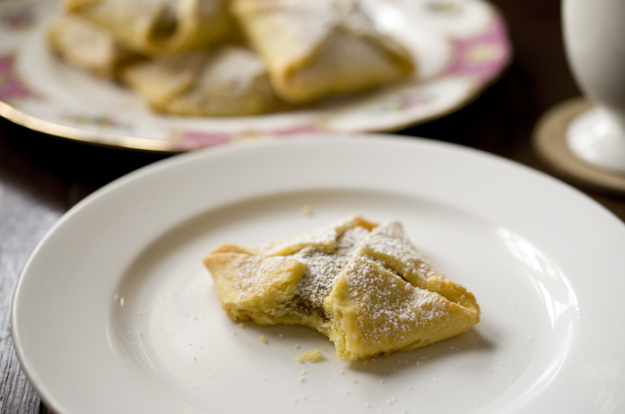 Fill each square with 1 heaping teaspoon of the filling then fold in the corners (overlapping each other). Place on a parchment-covered half-sheet pan in the fridge to keep pastries cool as you work. When all the pastries are filled, brush the tops with beaten egg white and bake 12 to 15 minutes. Cool on the baking sheet then dust with powdered sugar. Obviously, a combination of Viennese pastries and Viennese operetta is in order. The Merry Widow (1934) is a lavish film adaptation of Franz Lehár's frothy operetta, Die lustige Witwe, which premiered in Vienna on December 30, 1905. It's been a while since I've seen The Merry Widow on stage but I'm pretty sure this film has some substantive differences. However, this version, starring Maurice Chevalier and Jeanette MacDonald and directed by Ernst Lubitsch, is a lot of fun, so we'll let it slide. Evidently the two stars loathed each other: MacDonald called Chevalier "bottom-pincher" and Chevalier retorted with "hypocritical prude." It's amazing how well they worked together on screen! Their four films are charming. 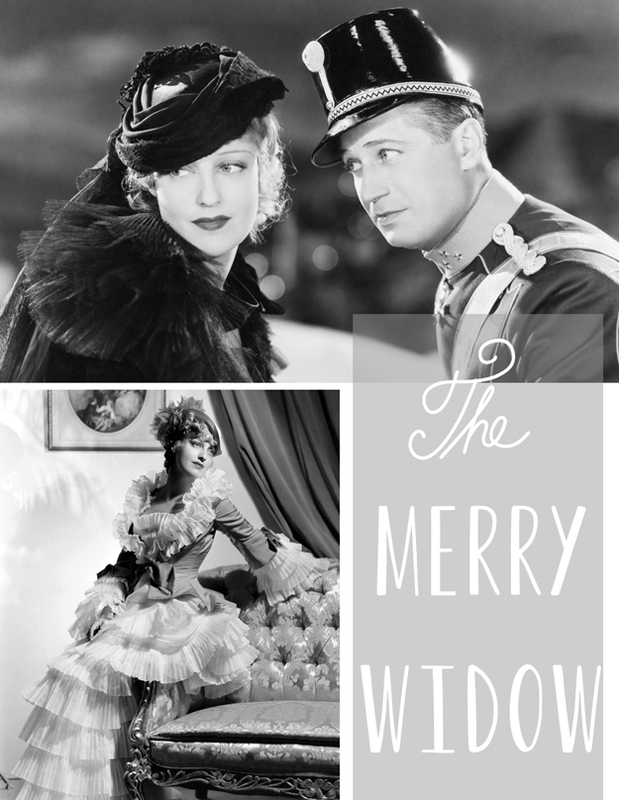 The Merry Widow isn't available on DVD, so be sure to catch it Monday on TCM. 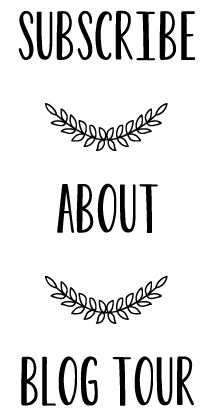 If you'd like more old-movie recommendations, subscribe to my monthly newsletter so you won't miss what's airing next month! These look scrumptious. So glad you stopped by my blog. I've subscribed, love old films and the tempting treats to go with them. Happy New Year! I'm glad I stopped by your blog, too. Got to get my history fix. :-) Thanks for subscribing and welcome. Happy 2013! These must be absolutely scrumptious. Thanks for the recipe. I'll do it, snow or no! OH MY GOODNESS these look amazing! and I think I have all those ingredients as well! A well stocked, well organized pantry is indeed perfect for impulse baking, made even more delicious during a snowfall. I love using almond meal so this filling looks particularly tempting. 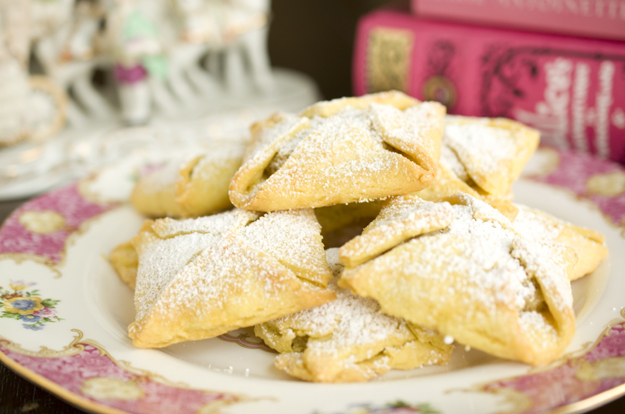 Wishing you a delicious 2013! Those look fantastic. Chevalier-MacDonald movies are so much fun. Sehr schönen mandeltaschen und I love your blog redesign! Danke schön! :-) Sie schmecken sehr gut. And now we've exhausted my German ability! Yummy - I need one with tea! A stocked pantry is a good idea - remember when we couldn't get out a couple of years ago at Christmas? MacDonald's and Chevalier's insults are perfect! What a hoot!